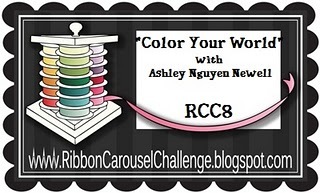 This week, I'm hostessing the challenge for the Ribbon Carousel Challenge. I picked using coloring mediums as the challenge. Ok, MISTAKE!!! I think I'm the only designed in this group that hasn't taken any Copic classes. So, just bear with me and my self taught coloring! 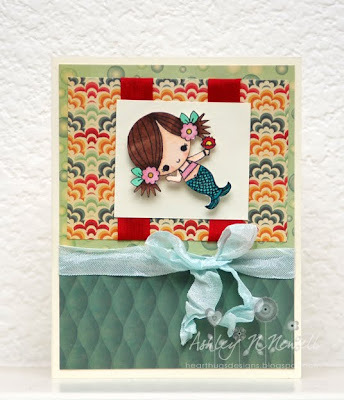 Be sure to hop on over to the Ribbon Carousel Challenge blog to see all the awesome DT samples and to link up your creation! All you have to do is use your favorite coloring medium and some sort of ribbon/twine/lace/trim/etc... on your card. Easy peasy! 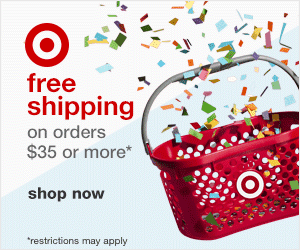 Link it up for your chance to be Top Spool! she's super cute and I really hope you get to feeling better! I've been thinking about you since I haven't seen you online.